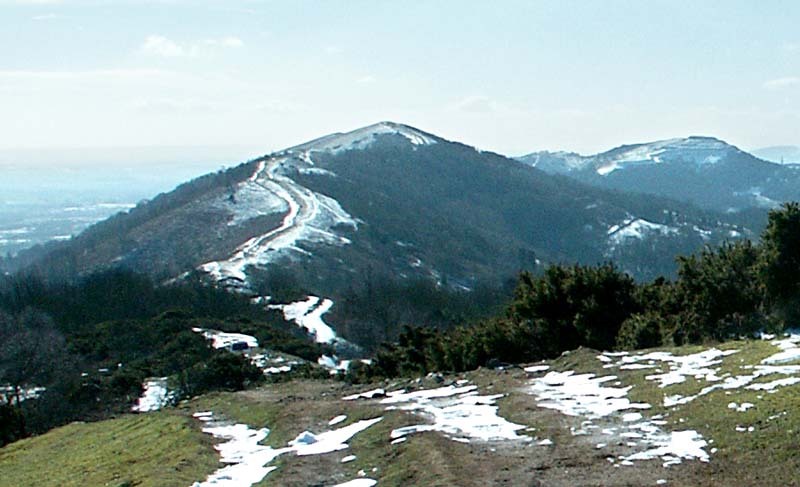 It's difficult to experience the whole scope of the Malvern Hills even when walking the length and breadth of them, never mind in a few words and pictures. This page and indeed the whole web site, can only touch on the beauty of the area. 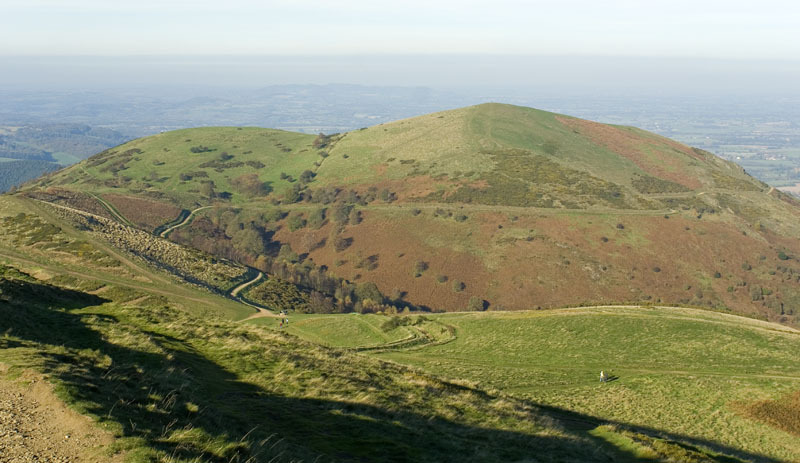 One can spend days, weeks even a lifetime exploring the Malverns and surrounding area and still discover new views and items of interest. 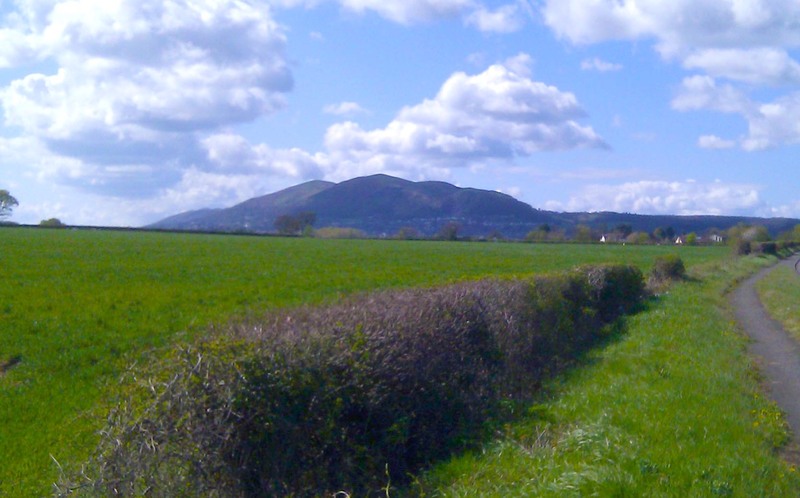 The Malvern Hills has been described as 'rising out of the Worcestershire plains like a tidal wave'; and this shot illustrates that description nicely. 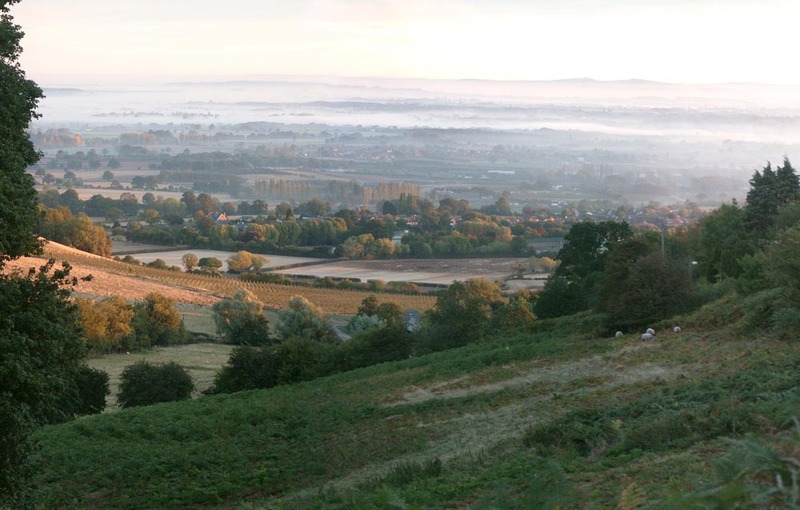 This photograph of a midsummer sunrise over North Malvern was taken from the hillside at West Malvern around 5.30am. 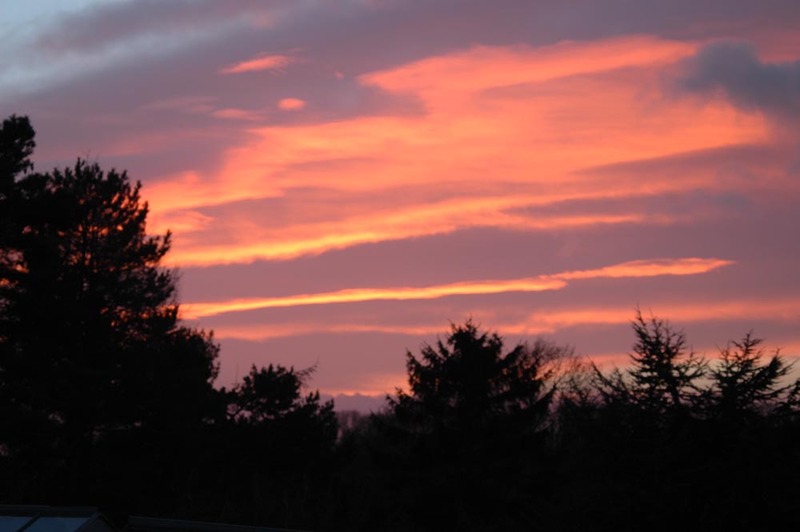 Sunsets viewed from the west side of the hills are often spectacular, as this thumbnail shows. As with any rural scenery, seasons ring the changes, and the Malverns receive their fair share of snow. Quite often there can be a good coating on the hills when the low ground all around will have none. Here it is just a dusting. 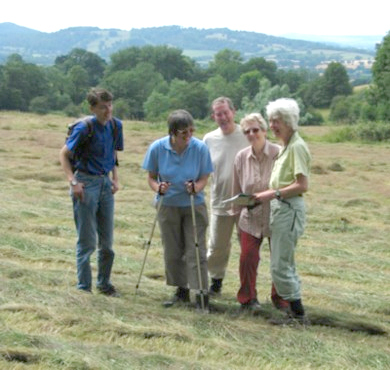 Some walkers enjoying a joke on Oyster Hill in the Malvern area. Avoiding the crowds that gather on the mid sections of the Malverns, the smaller cluster at the north end of the hills is still a very pleasant and challenging climb.